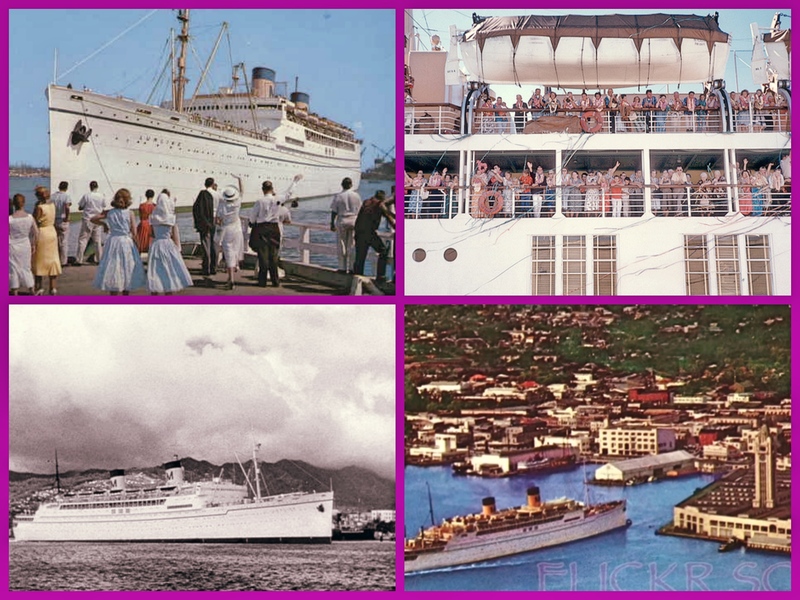 Home / 1940s / PART 2 – 71 years ago – SS LURLINE sailed on her post WW 2 voyage to HAWAII from CALIFORNIA. 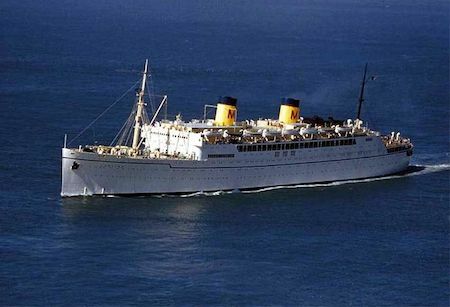 The SS LURLINE, flagship of Matson’s passenger fleet, emerged from a stunning $18-million makeover, following six years as a troop carrier with her white ship sisters, MARIPOSA, MONTEREY and MATSONIA. 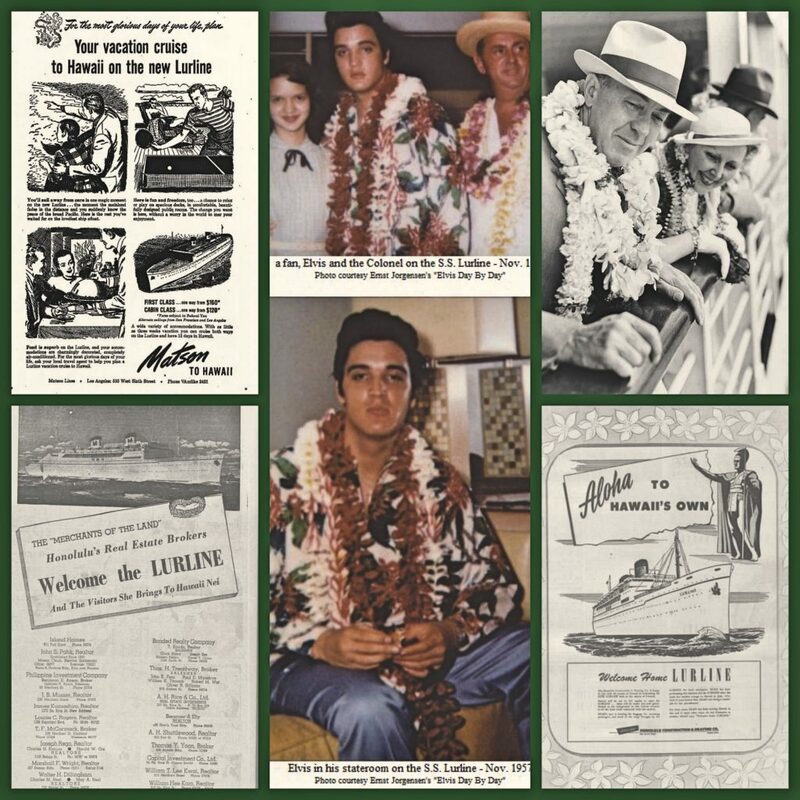 The Lurline was the Queen of the Pacific and her arrival in Honolulu was greeted with great fanfare. 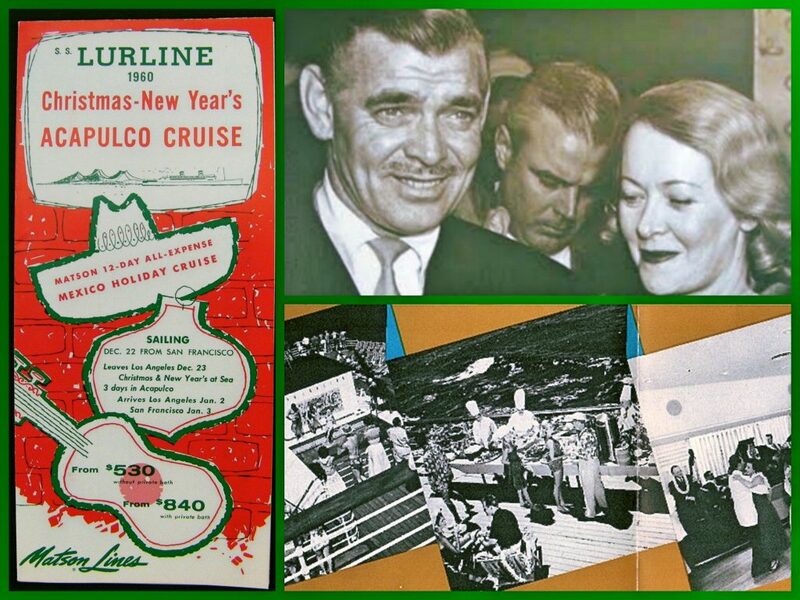 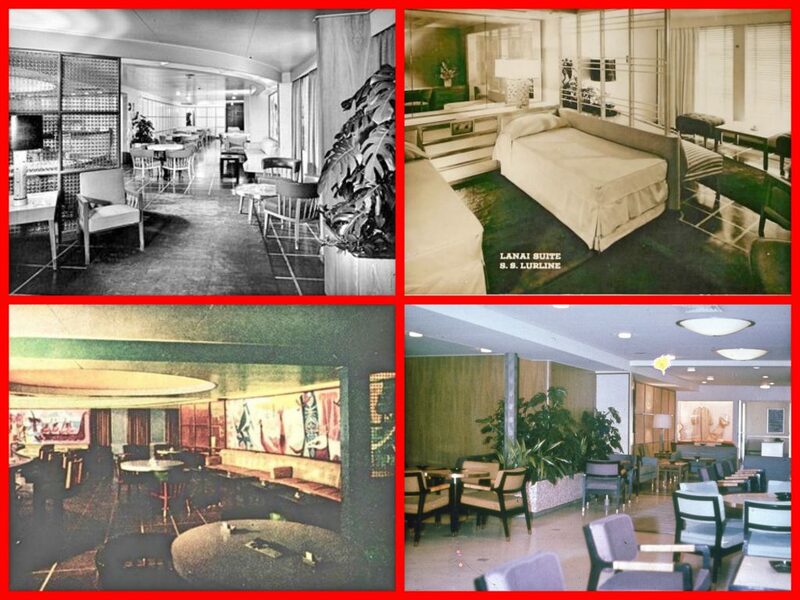 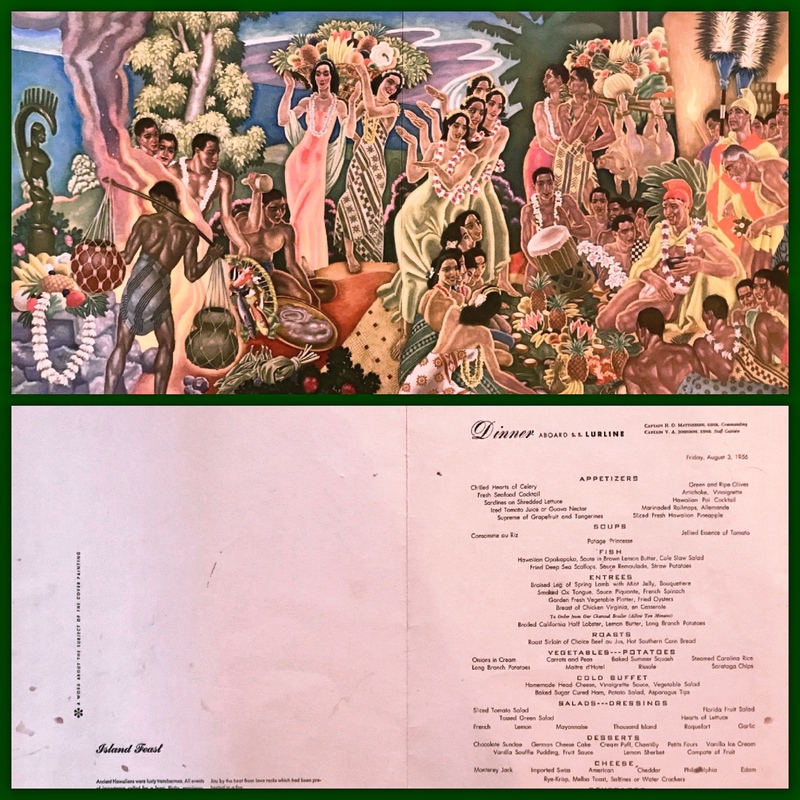 The Main Lounge for movies, bingo, and lectures; The Coral Dining Room; Poolside Sun Deck: Sailing on the Lurline with streamers, bands and farewell parties. 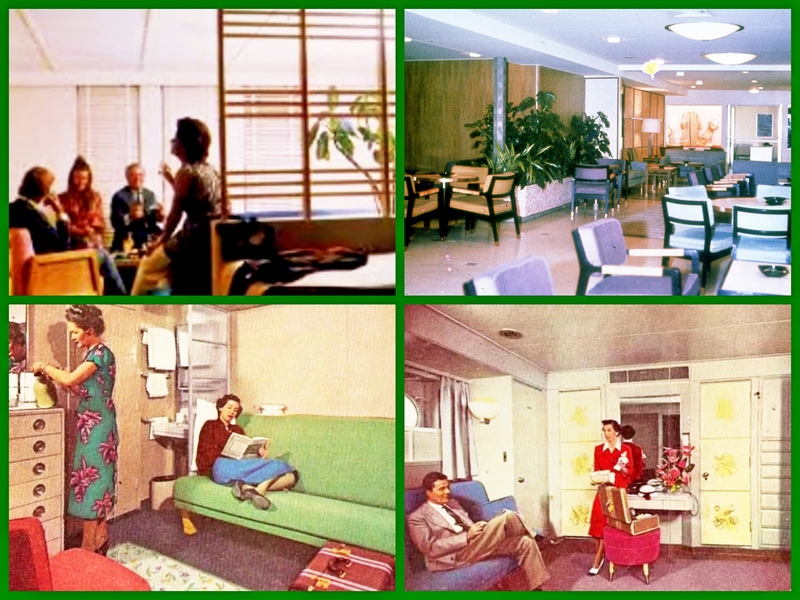 None of this exists today. 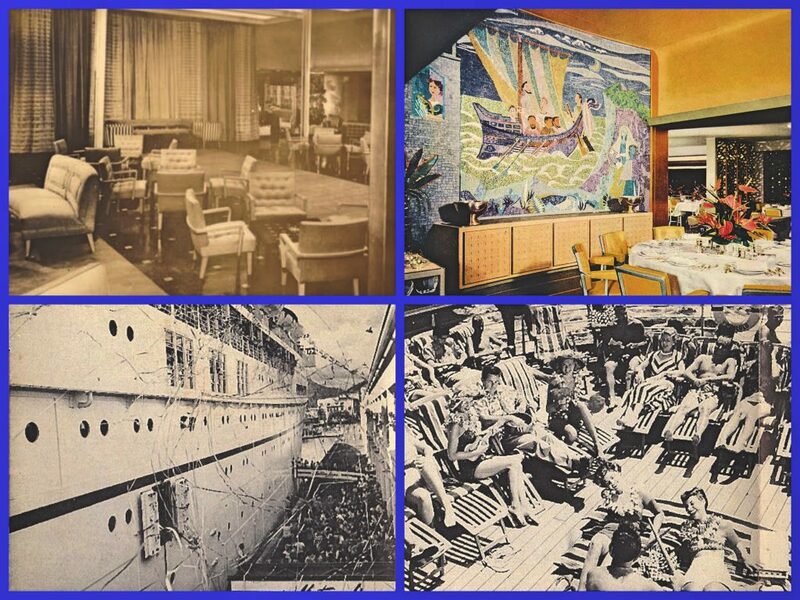 Next: The TITANIC sank 107 ago today!